Exploring Jervis Bay on a kayak or a stand up paddle board is one of the most memorable experiences you can have. 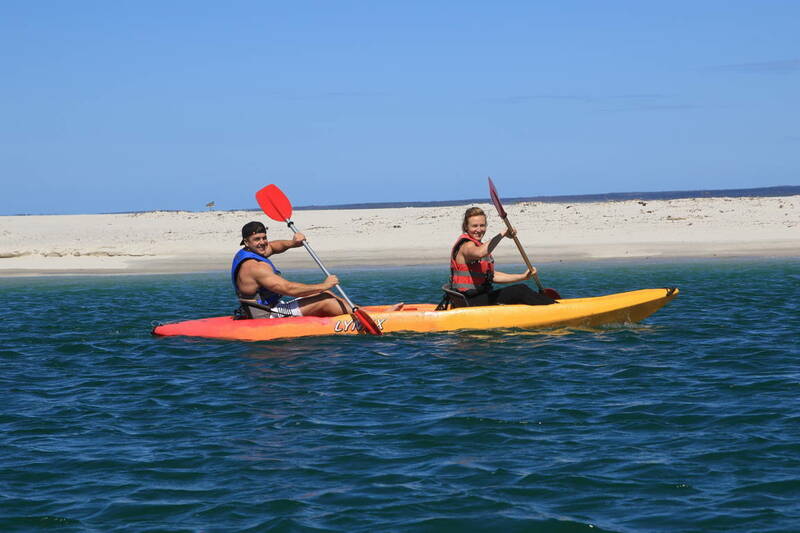 If you are visiting Huskisson, why not book your kayak hire or SUP hire in advance? If you don’t want to go it alone, try one of our guided tours. We offer guided kayak tours as well as guided stand up paddle board tours. All our guides are qualified in flatwater kayaking and are current in first aid and CPR training. The waters of Jervis Bay on the New South Wales South Coast are some of safest and most beautiful in Australia. All you need to bring is a camera, a bottle of water, swimmers, sunscreen and protective clothing (towel, hat, footwear & sunglasses).